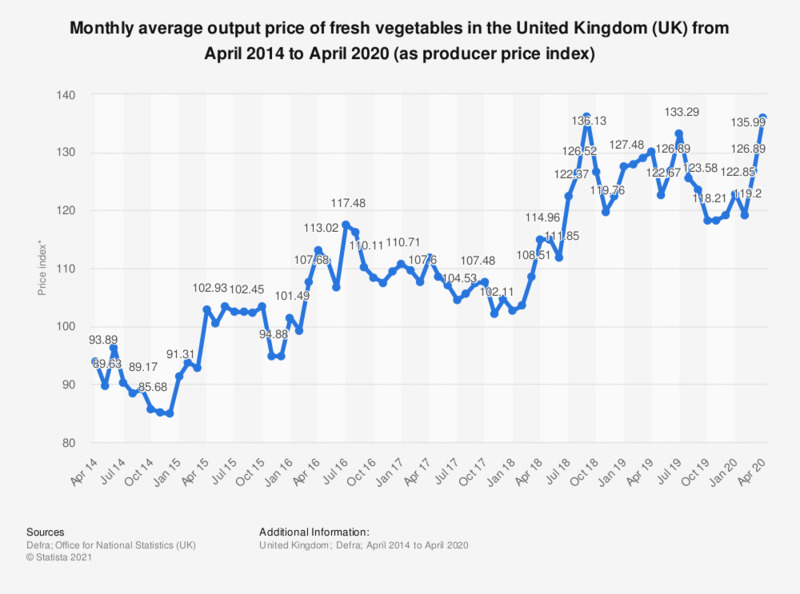 This statistic shows the average monthly output price of fresh vegetables in the United Kingdom from April 2014 to August 2017. Despite some fluctuation over the period, total output prices have generally increased. In August 2017, the price index of fresh vegetables was measured at 107.4. The Agricultural Price Index (API) is used to measure price changes in agricultural outputs and inputs by the Department for Environment, Food and Rural Affairs in the UK. The output figures given in this statistic reflect the price farmers receive for their products, also known as the farm gate price.